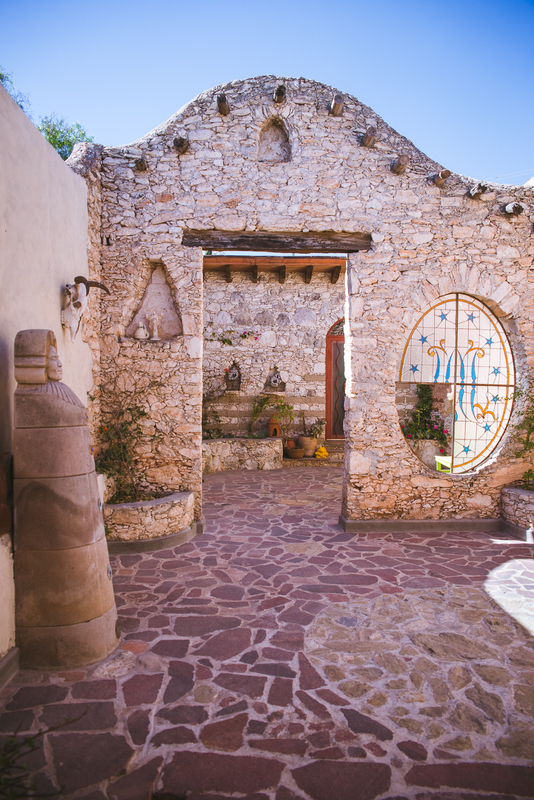 Mineral de Pozos is famous for its picturesque adobe ruins dating from the mid-1800s. The rehab of this 7,000-sq. ft./650 sq. m. property with a 2,084 sq. ft./194 sq. m house has been overseen by a succession of artists. 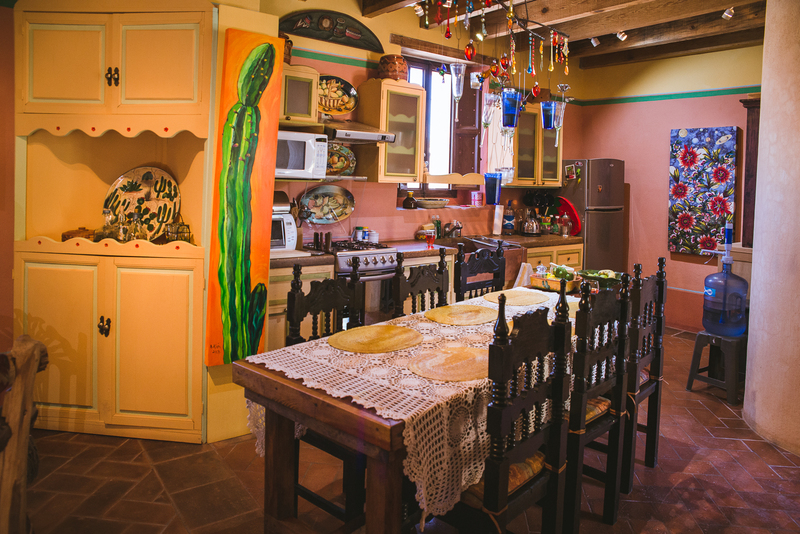 The result is a unique, magical home with the potential to be much more. 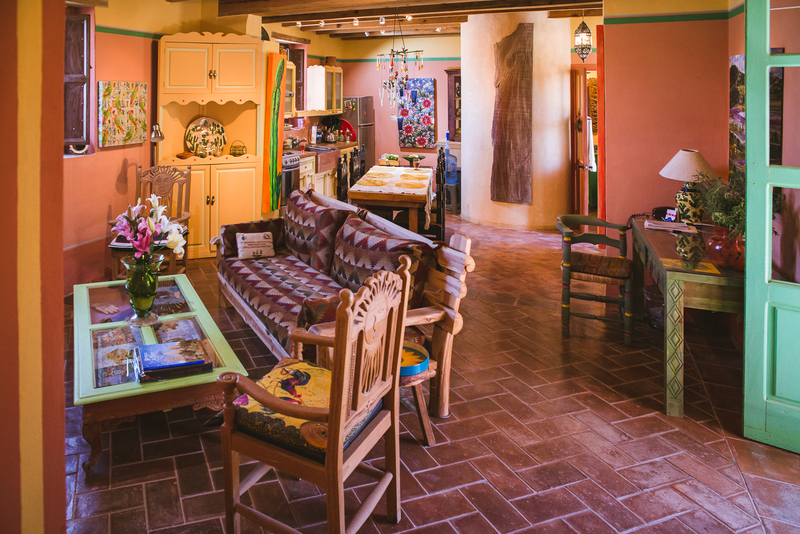 It’s located in a quiet part of town just a 10-minute walk to el centro, and close to the newly completed art complex, the Escula Modelo – Pozos’s equivalent of San Miguel’s Instituto. 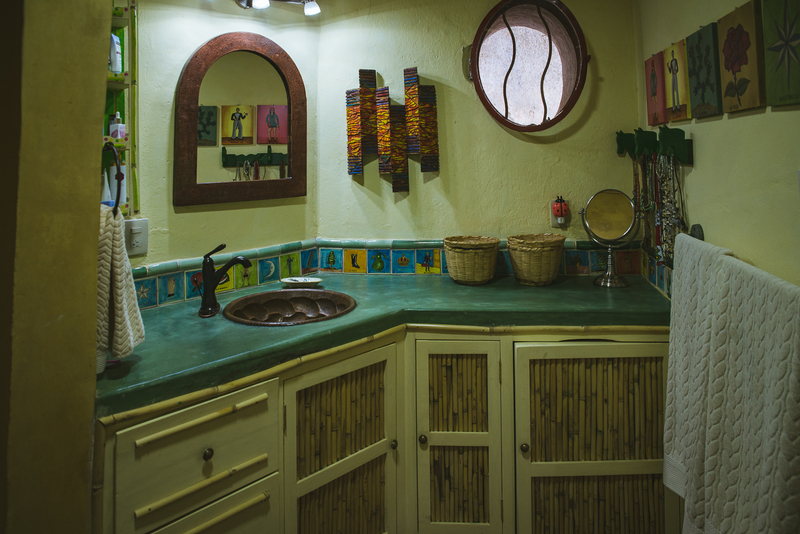 The home has three bedrooms, two full bathrooms, and two kitchens. There is an open-plan area comprising a fully equipped kitchen with a copper sink, dining space with a custom designed chandelier, and cozy living room. The area is heated by a gas log fireplace. Two screened French doors lead to a covered porch for breakfasting al fresco or stargazing. 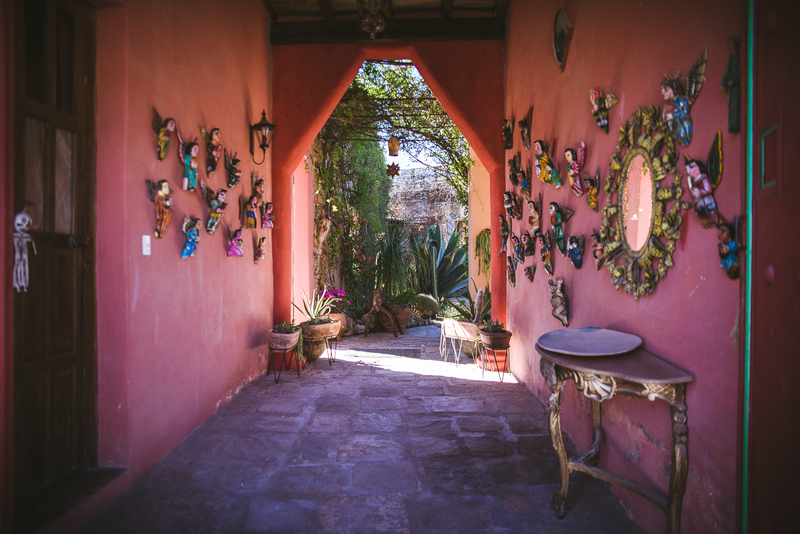 It overlooks a traditional interior courtyard planted with indigenous foliage and shaded by a mature fig tree. The large master bedroom (currently used as an artist’s studio) opens to a sunny private patio and has a gas log fireplace. Between two of the bedrooms is a dressing area with armoires, and leading off it is a utility room with hook-up for a washing machine. 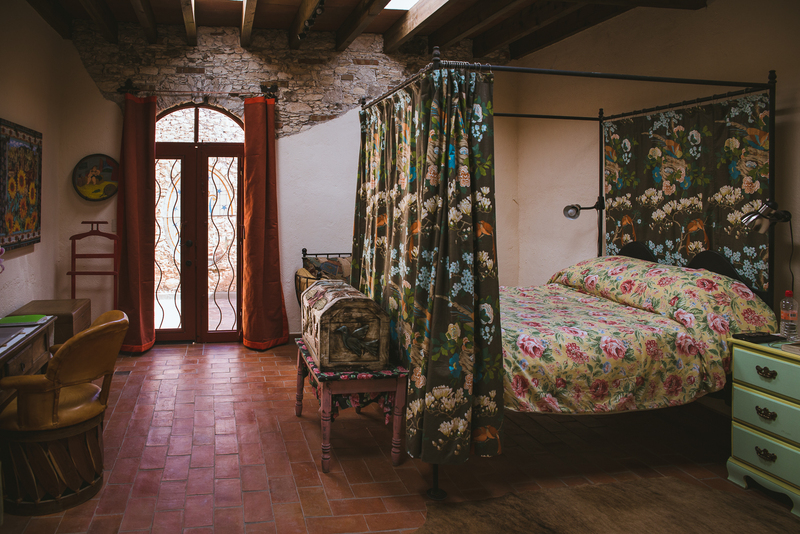 A guest bedroom opens to two outdoor rooms, with rock walls and separated by a large stained glass window original to the house, and featuring a magnificent statue by a former owner – a renowned sculptor. 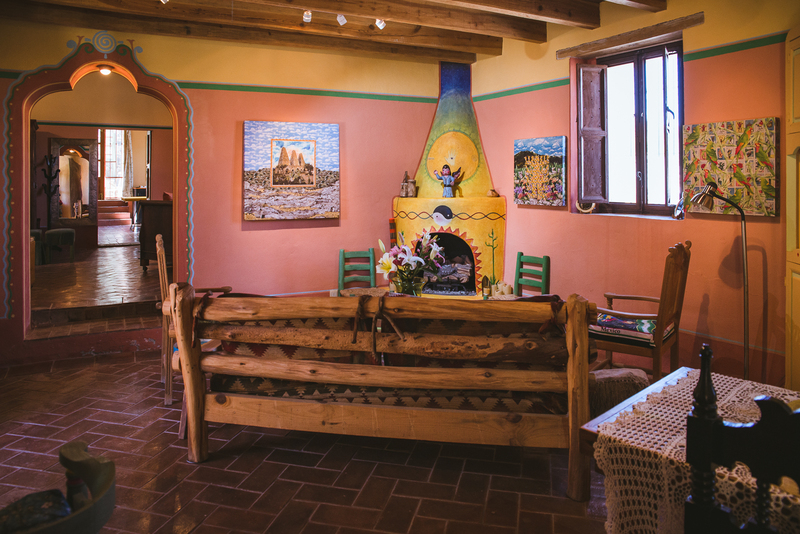 The entire house is warmly painted with decorative accents and murals created by a neighboring master craftsman. 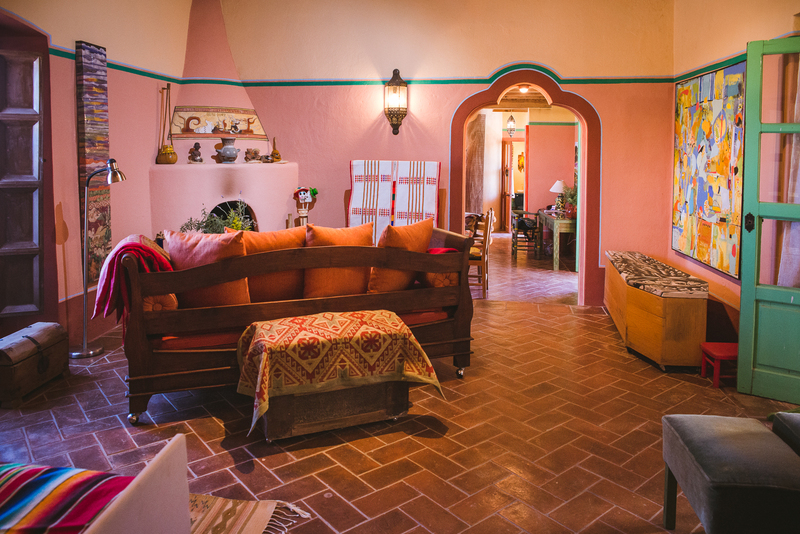 There are brick and tile floors, wood-beamed ceilings, and traditional wall sconces throughout. Much of the furniture will stay, and it has been handpicked for the house, or designed by the current owner and custom made. The second kitchen – the old, original one – occupies a large space with its own patio and spiral stair leading to the roof for stunning views. There’s secure indoor parking for three cars adjoining a large light-filled space that could be used for storage, a workshop, tool shed, or studio. It is warmed by a log burning fireplace. This is space where your creativity can soar, whether you are an artist or an entrepreneur. It has the potential to house a café, a bed and breakfast, a small spa, a gallery; or simply be a spectacular place to call home. It has all city services. Contact Montana Realty for more photos!